Nuclear medicine is a well established imaging modality. A nuclear medicine exam is a safe and painless procedure which utilizes radioactive material to detect, diagnose and treat disease. It can often identify abnormalities early in the progression of a disease, a time when a more successful treatment may be possible. 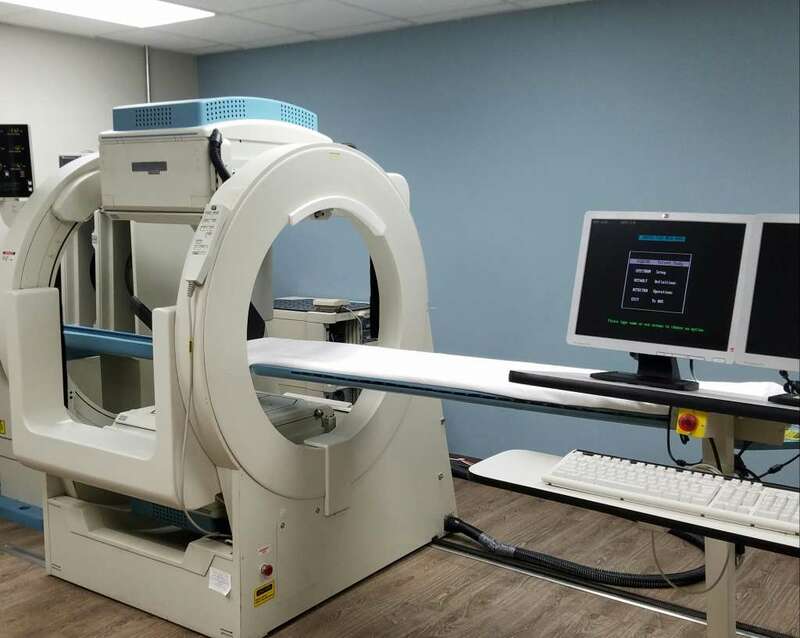 Unlike most radiology technologies, which provide images of the anatomy, Nuclear Medicine can visualize and study the physiology, or the way that your body functions. The most common procedures performed are for evaluation of bones, lungs, liver and gallbladder, kidneys, heart, thyroid and parathyroid glands. The exam is performed by a certified nuclear medicine technologist and read by a physician that is specialty trained in nuclear medicine.